Our universe is so wide that it is rather almost unfeasible to set it in one frame. But now-a-days it has become possible to do so. The musician Pablo Carlos Budassi created an image that shows the apprehensible universe in one disc. He collected Logarithmic maps of the Universe from Princeton and images from NASA. Logarithms help us to precise a large amount of numbers. 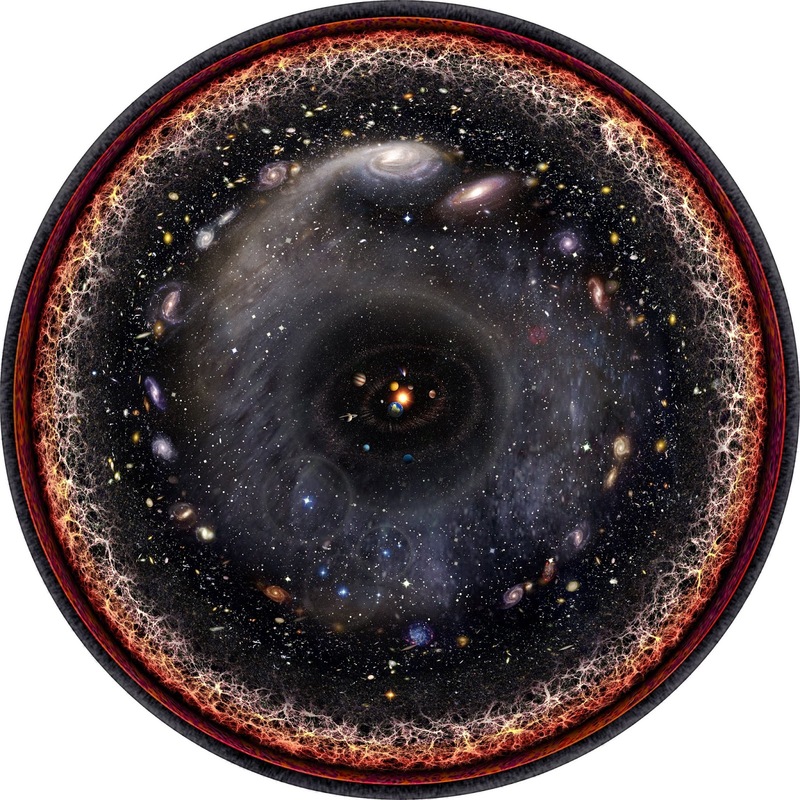 Instead of showing all parts of universe in this picture, each part is representing a large magnitude on a linear scale. Our Sun and the solar system are at the very center of this image. They are followed by the outer ring of Milky Way Galaxy, one of the two major arms of Milky Way, a ring of other closer galaxies like Andromeda, rest of the cosmos, cosmic microwave background radiation leftover from the big bang, and finally a ring of plasma also generated by the big bang. Budassi got the idea of setting the whole universe in one picture after making hexaflexagons at his son’s birthday. He shared the image into public domain.